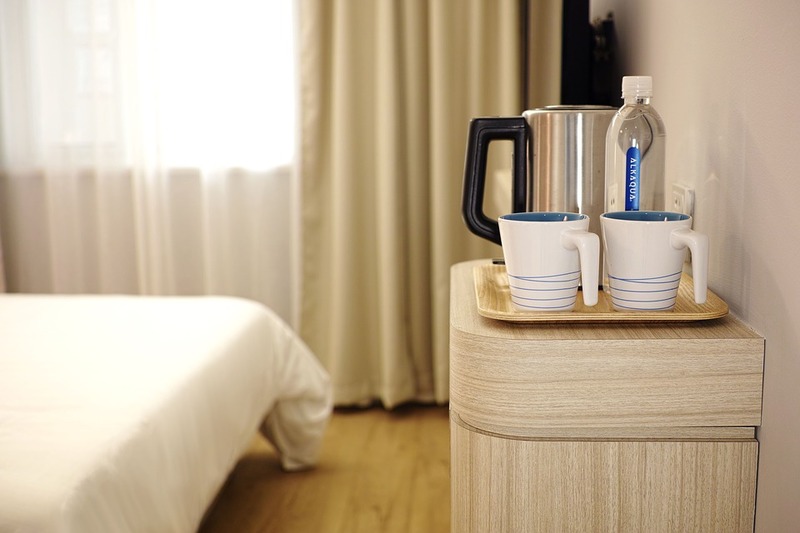 In the hotel industry, filling rooms is essential. But if customers don’t know about your hotel, they will likely book with a competitor. Inbound marketing increases awareness of your hotel and reaches potential guests where they’re searching online. Don’t let your rooms go empty. Find out how to market your hotel online with inbound marketing. While outbound marketing strategies can come across as spammy and intrusive, inbound marketing provides consumers with relevant information when and where they want it. In today’s media saturated environment, people have learned to tune out outbound marketing messages. For example, you can easily change the channel during commercials and filter spam emails to a separate folder in your inbox. However, consumers seek out inbound marketing content— which includes everything from blog posts and social media updates to website content. Why do hotels need inbound marketing? If hotels want to attract guests, inbound marketing is essential. Rather than trying to engage potential guests via ads in travel magazines or television commercials, you can promote content on your own channels. While paid advertising requires a continuous cash flow, inbound marketing is significantly less expensive. And it provides an impressive ROI. Blog posts, for instance, can continue to generate traffic to your hotel’s website months or years after publication. This isn’t the case for outbound marketing, where you will likely notice an immediate decrease in traffic after you stop running ads in magazines or television. Inbound marketing also provides guests with value. No one likes interruption marketing, and with inbound marketing strategies, you don’t have to worry about people viewing your advertisements who aren’t interested in booking a hotel. Instead, you can help guests in their search for information by providing helpful resources that position your hotel as an industry leader. Let’s take a look at some specific inbound marketing strategies that can set your hotel up for success. Most guests search online for information, rates, and reviews before making a hotel reservation. But if no one can find your hotel, they won’t book with you. SEO works to improve the visibility of your hotel website and ensures that you show up in top search results for industry-related keywords. When people search for hotels in your area, you want to appear within the top results—and SEO makes that possible. By actively engaging on social media, you will earn the attention of guests. Producing and sharing original content like blog posts, videos, and photos will pique the interest of potential guests and help them get a feel for your facility. Your social media sites are a natural extension of your hotel’s website, and they should provide guests with helpful information that will contribute to an overall great stay. For example, you can consider posting fun trivia facts about your destination to get guests excited about an upcoming visit. Hotels can also create a buzz with social media contests. Encourage guests to engage with your pages, and offer free rewards or incentives for participation. The hotel industry is extremely competitive, so don’t be afraid to get creative with your content marketing strategy. Platforms like Snapchat and Instagram encourage guest involvement and help people engage with your hotel brand. In addition, make sure you highlight details about your hotel that make it stand out from competitors. Let guests know why they should book with you and how you will make their experience unique. It’s also important that you make your content available on tablets or smartphones. Make sure that your website is mobile responsive so that people can easily find your hotel and book rooms on the go. This also ensures a consistent user experience across all channels. How does inbound marketing benefit hotels? Inbound marketing provides hotels with sustainable business results. By positioning your hotel for long-term success, you will increase both occupancy rates and revenue for your hotel. In addition, inbound marketing is easy to analyze and allows your hotel to focus on marketing channels that provide the greatest ROI. Don’t waste time marketing your hotel to people who aren’t interested. Instead, position yourself where potential guests are searching with inbound marketing strategies. Inbound marketing also allows you to better anticipate the needs of guests and adapt your service offerings to meet their preferences. Satisfied guests provide great word of mouth referrals. They may even like and share your content on social media, helping your hotel expand your reach online. Inbound Marketing Inc., a division of WebFX, provides full-service inbound marketing solutions, designed to take your hotel to the next level. Our affordable plans include everything from SEO and content creation to social media services and web design. If you’re looking to attract more guests to your hotel, inbound marketing is a great way to reach potential customers where they’re already searching online. So contact us today, and let us manage your web presence to attract more qualified leads and generate more revenue for your hotel.